In 2008, we introduced the newest addition to our Crisscut® family: the Crisscut ® Round. 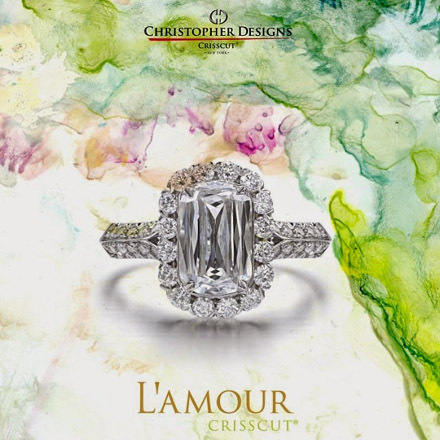 Although related to the popular 58-facet round brilliant diamond, it occupies a class all its own. 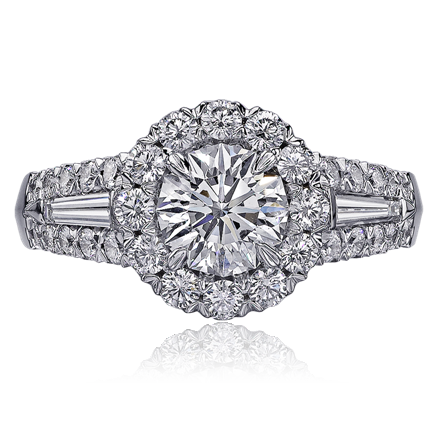 Cut from AGS ideal “triple zero” diamonds, the Crisscut ® Round boasts 109 facets, which radiate unequalled brilliance. Although it appears round, the stone actually has 12 straight walls and 12 sides, each so flawlessly cut that a dozen arrow point perfectly to the stone’s center. The diamond’s edges break the light, creating the illusion of an exquisitely scalloped border. To make a secure payment using PayPal, click below. Join the Blacy's Fine Jewelers mailing list!